The film centers on a Scottish princess that is staring down an imminent betroval. 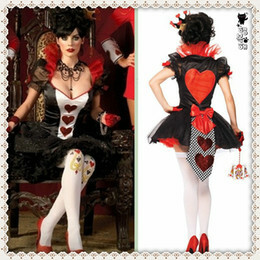 As she’s quarreling with her mother, she gets increasingly nervous about being matched up with a loser of a prince. Her resistance to becoming subservient and dull drive hee to enlist the help of a magical witch to hopefully change her fate and “fix” things with her mother and future. Without giving away any more, she learns that her choices affect everyone around her, some things are meant to be, and some things are meant to change, grow and evolve. There’s some great action and suspense, as well as funny characters and some tricky situations. The art is absolutely stunning. My wife likes that the mother is not your typical Disney evil archetype. There are really strong themes of growth and maturity, as well as seeing things from someone else’s point of view. Of course young children, like my five year old son, love the funny situations and wasn’t too scared by the intense moments. Once again, Pixar has put together a film that’s legitimately enjoyable to everyone. There was even a little bit of potty humor, but it was done appropriately and within reason. There were just a few draw-backs. The jokes and characters weren’t quite as strong as Toy Story, Monster’s Inc, or my favorite Bug’s Life. Those are tough acts to follow, but with Brave, I thought some times the story telling took a backseat to the art, and Pixar showing off their mad skillz a little. Brave is of course waaay better than most of the animated schrek we get from the other studios and was incredibly strong. At the end, I loved the way it wrapped up, and that they didn’t lay on the schmaltz or songs. I understand why Disney puts all the eggs in one basket, offering 5 discs in this Ultimate Edition. The Blu-Ray (and Blu-Ray3D) owners would like to have the DVD to pop into the kids’ DVD player in the minivan, and the digital copy makes it easy to put on mobile devices. The extra disc of bonus material is a lot of fun for the adult collectors (and kids taking a liking to the art of animation). The 3D version of course requires a 3D capable set with 3D glasses. And they do sell sets that are just Blu-Ray or just DVD. I put a handful of special features below you can check out as well. 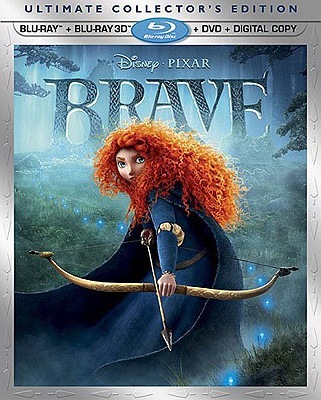 My whole family found Brave to be a lot of fun, and it holds onto the magic on repeated viewings. It’s definitely more in line with traditional fairy tale story telling than we’re used to from Pixar, but the art and characters are top notch. I actually liked the “lessons” at the end, and thought it was great.